We are proud to work with these breast cancer charities that help us reach the women and men with breast cancer that need financial, emotional and healing support not covered by insurance. Thank you to all of our Companies that Care, group and individual donors that make this all possible. CancerCare has been a grant recipient since the launch of the Carey Foundation in 2012. Eligible breast cancer patients may receive assistance for cancer-related expenses including the access to the CancerCare Wig Clinic, transportation to and from treatment, home care, and child care. Press Release. 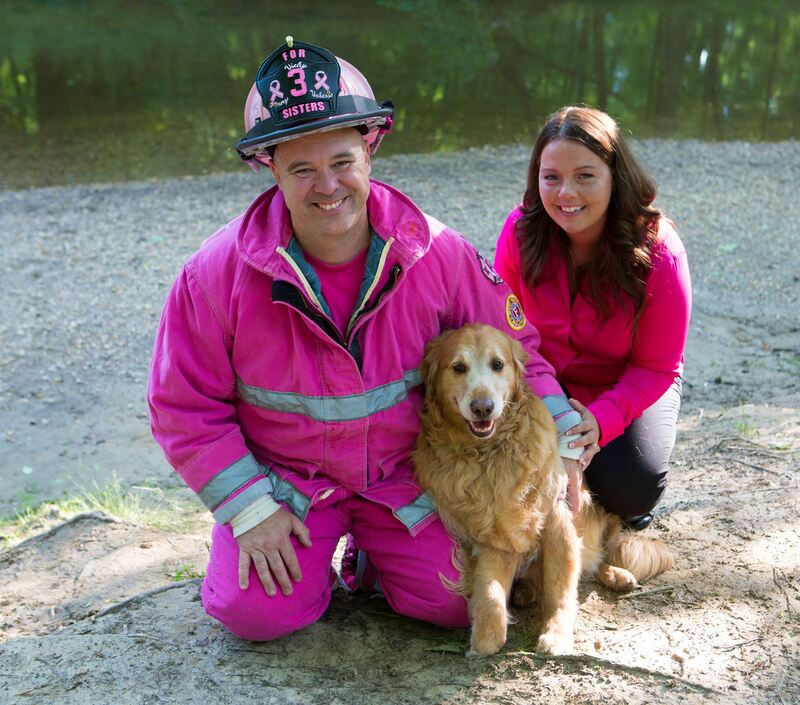 For 3 Sisters was started in 2011 by retired Montgomery County, Maryland career firefighter, Marshall Moneymaker, and his wife, Shannon Moneymaker after Marshall lost three older sisters to breast cancer. 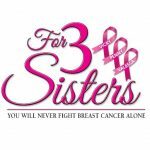 The Tutu Project funding has helped For 3 Sisters provide resource case management services to breast cancer fighters and survivors, as well as complete a revolutionary upgrade to the program by purchasing a one of a kind Electronic Medical Record – Resource Database Interface. Elisa Guida, Founder and Executive Director of StringsforaCURE®, a custom jeweler by trade and two-time breast cancer survivor, transforms guitar strings donated by famous musicians into one-of-a-kind earrings, bracelets, pendants, and rings. When you purchase StringsforaCURE Jewelry, 100% of the net proceeds help us to further our mission to educate, comfort, support and provide financial assistance directly to cancer patients, primarily those with breast cancer. 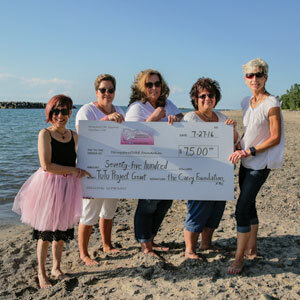 The Tutu Project’s grant to StringsforaCURE® will be used specifically to provide a one-time Medical Assistance or Living Expense grant to patients based on financial need to help ease the financial burden during the patient’s breast cancer journey. 70% of the women who attend Casting for Recovery retreats have never been to a support group. The Tutu Project’s team understands how important mental health and strength is to the healing process. We were proud to fund the attendance of a group of women to one of over 55 retreats across the country. CfR serves 770+ women each year. Cleaning For A Reason is a nonprofit organization that serves all the United States and Canada. Their mission is to give the gift of free house cleaning to women undergoing treatment for any type of cancer. Their goal is to let these brave and strong women focus on their health and treatment while we focus on, and take away the worry and work of, cleaning their homes– free of charge. 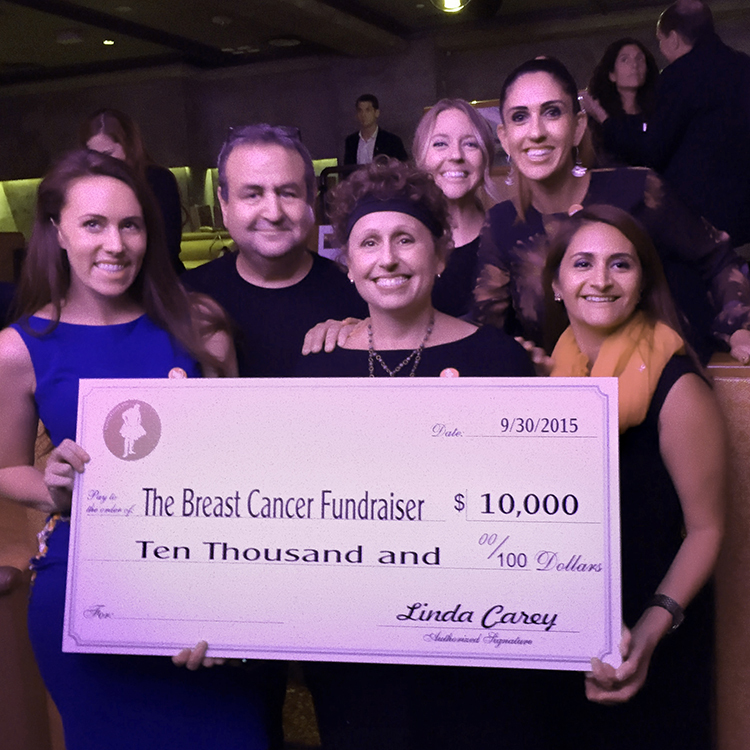 Our founder, Linda Carey, knows first hand how difficult it is to keep a clean home when a family is undergoing the stress of breast cancer treatment. She knows that women, undergoing the physical, emotional, and financial rigors of cancer treatment, need help. We are proud to help provide professional housecleaning services when these families need it most. Your donations to For 3 Sisters since 2014 has helped 150 women receive over $175K in financial aid, products, and services. And those numbers are still climbing! We especially thank The Tutu Project for believing in our Men Have Breasts Too documentary and helping us to bring our documentary to the world through their generous grant. I am continually amazed by the generosity of people since being diagnosed with stage IV DE novo MBC. Having to retire, loose a portion of salary, having my hubby just start work after 10 months of being unemployed, I am/was financially stressed. I have a 4 yo son, I want his life to go untouched by these issues for as long as possible. I read this sitting in the infusion room chair getting chemo on Tuesday and burst into the ugly cry with tears of joy for all of us who have received these grants. There are so many out of pocket care costs that aren’t covered by insurance that are such an integral part of keeping us here & able to tolerate treatment. For me, it’s acupuncture/Reiki, Charlotte’s Web Oil, & Medicinal Marijuana Tincture. Acupuncture & MM tincture are $140 a week out of pocket for me. Add on the stress of not physically being able to clean my house the way I’d like and that adds another over $110 every other week for just two people cleaning my house for 90 minutes. Thanks to all of you for all that you do for all of us. I love you all. Cancerland helps The Tutu Project focus on the women living with metastatic breast cancer and therefore in treatment for the rest of their life. Champagne’s direct contribution thanks to our grant was deeply felt by all of us. Each family expressed deep gratitude for the help they are receiving from #Cancerland thanks to The Tutu Project. #Cancerland revolves around a number of women – all of whom lead fascinating existences – and battle breast cancer in between. Rejecting the notion that their illness owns the patient, #Cancerland explores the concept of one’s refusal to be hobbled and that “living well is the best revenge.” This is not a group of brave-faced victims being marched off to their pink ribbon deaths. This is the highs, lows and social relevance of a disease that afflicts 1-in-8 women, killing 108 women in America every single day. Jill’s Wish offers grants of up to $1500 on a rolling basis to cover non-medical living expenses for those with newly-diagnosed or terminal breast cancer. The grant is for housing expenses (rent or mortgage), utility bills and any car payments. Jill’s wish pays bills directly to the housing lender, landlord, utility company and auto loan holder, so breast cancer patients don’t have to worry. 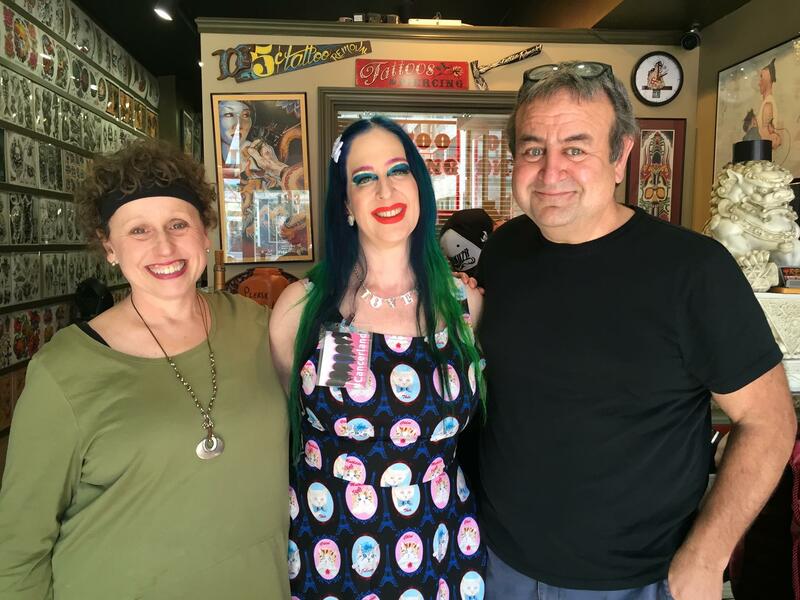 The Tutu Project’s grant to Jill’s Wish is impactful because as a “Jill’s Wish Genie”, we know that each $1,500 we donate brings so much support to the families that we touch. We were lucky to have met Jill personally, and are proud to help carry on her work and legacy. Grant recipients in 2014. Funds helped support their documentary about men with breast cancer.